We’re in it together at EBG! To foster our core values of philanthropy and employee happiness, EBG provides all employees A Day of Giving – one paid day off each year to volunteer their time and talent to serve local communities. Employees are encouraged to volunteer at a charity or with a cause-related nonprofit organization, to develop both personally and professionally. 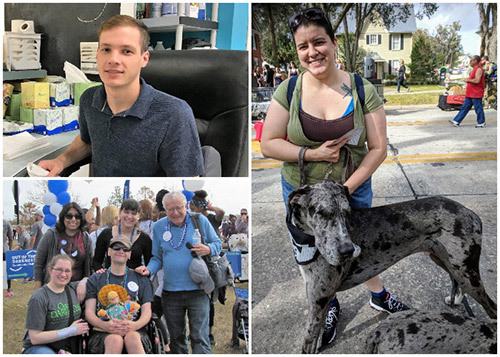 Latest efforts from employees around the country include donating their time, resources and energy at Night to Shine, a prom night experience for people with special needs; Coalition for the Homeless of Central Florida; Great Dane Love – A Central Florida Rescue; and the NYC Wine & Food Festival, which benefits No Kid Hungry and Food Bank for NYC. 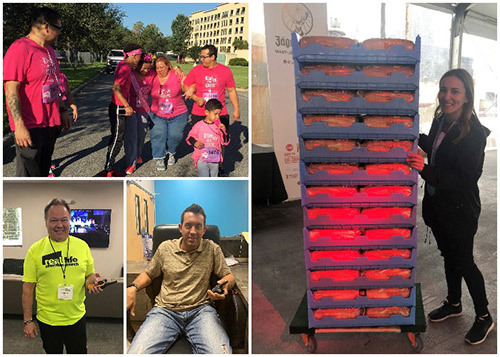 Other employees helped raise funds and awareness by participating in walks such as Orlando Out of the Darkness Walk for the American Foundation for Suicide Prevention and the Pink on Parade 5K, hosted by Florida Hospital, now AdventHealth. Through our A Day of Giving at EBG program, our employees feel a stronger sense of community and pride in their ability to help the charities they serve. We look forward to making a difference, one day at a time!